Dr. Patty is a native of Alexandria. He received his medical degree from Louisiana State University School of Medicine in New Orleans where he was elected into the AOA Honor Medical Society. He completed his internship at Parkland Memorial Hospital in Dallas, Texas. He served two years in the Indian Health Service branch of the U.S. Public Health Service in Red Lake, Minnesota. 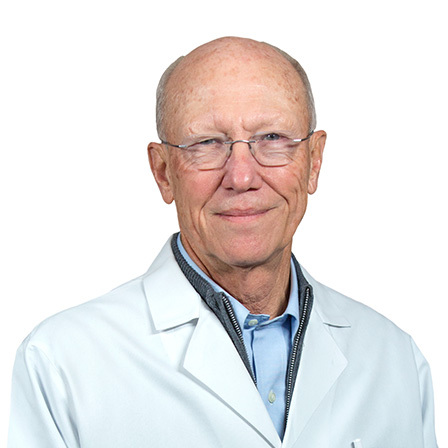 Dr. Patty completed his residency in Ophthalmology at Wills Hospital in Philadelphia, Pennsylvania and became a board certified member of the American Board of Ophthalmology in 1976. His specialties include performing no-stitch cataract surgery, glaucoma surgery, retinal laser surgery of anterior and posterior segments including diabetic retinopathy, as well as treatment of macular degeneration.